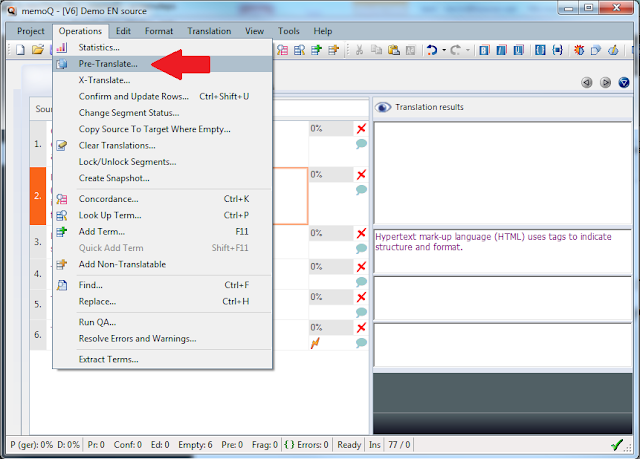 Changes in the translation menu options in version 6 of memoQ have caused a little confusion with some users. 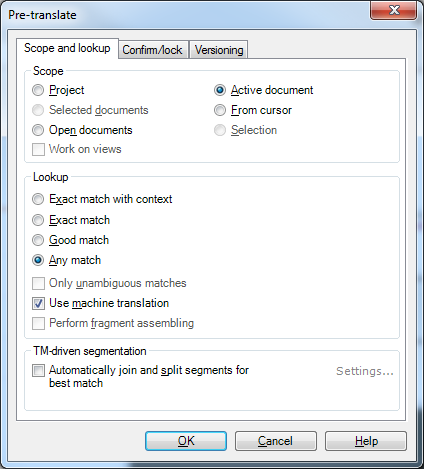 The differences in handling "memoQ bilingual" files, which are used for external translation or review, seem to cause particular stress in some cases. 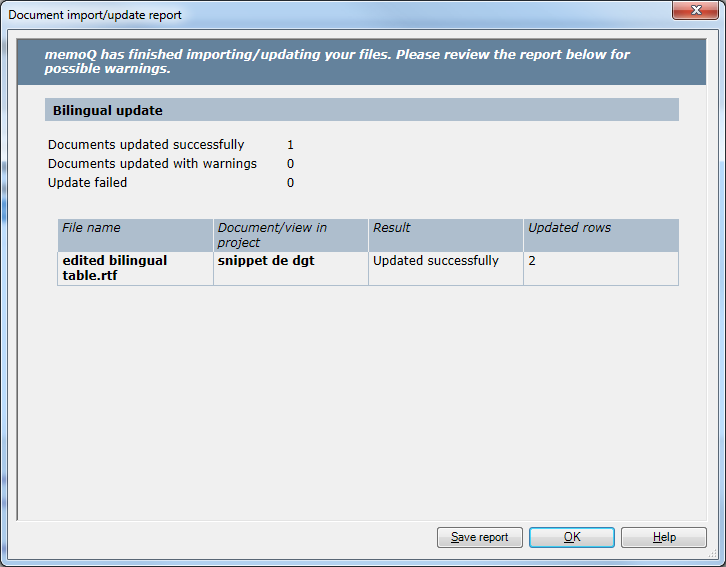 In previous versions of memoQ, the bilingual files had a special command for importing, re-importing or updating (Import/update bilingual). 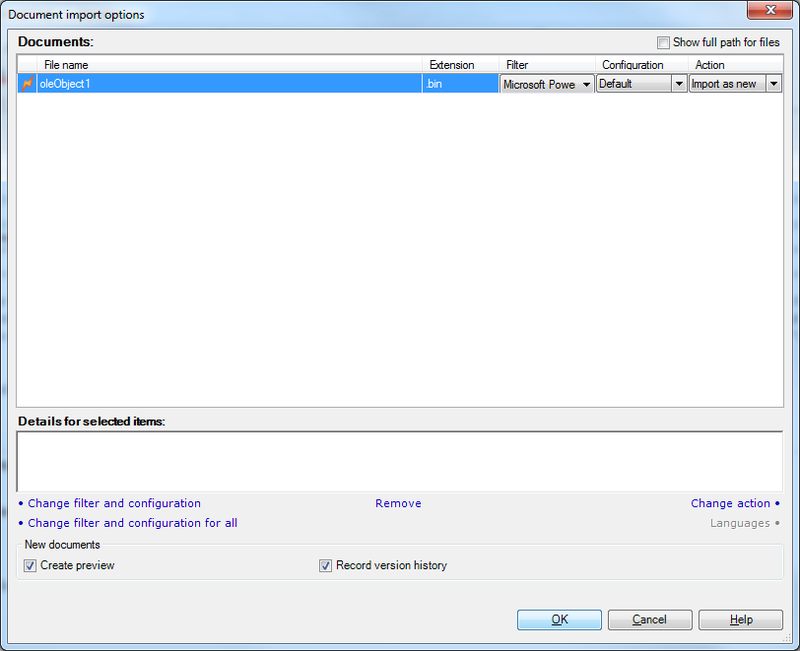 In memoQ 6, this was consolidated with the Import function, which replaces its predecessor in earlier versions, Add document. Even without tracked changes, the status of updated segments will be set to edited, so these segments can be found quickly using the filters to confirm that the changes are acceptable before the finished document is exported. When I published a procedure for getting at embedded objects in Microsoft Office documents, I mentioned that older documents in MS Office 2003 formats could be saved as Office 2007/2010 equivalents in order to access the embedded objects via Windows Explorer after renaming the extension to ZIP. What I failed to mention is that older format embedded objects are stored with a BIN extension, not the proper extension of the application with which they are associated. The icon above, for example, is for an embedded PowerPoint 2003 slide. 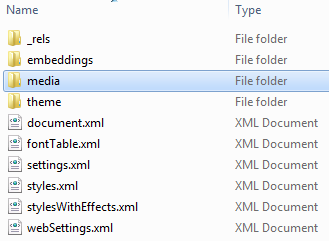 The number at the end of the file name before the extension indicates the order of the objects in the document, which may be helpful in identifying the new extension to use. If you want to put the translated objects back in the embeddings folder, remember to change the extensions of the older objects back to BIN. 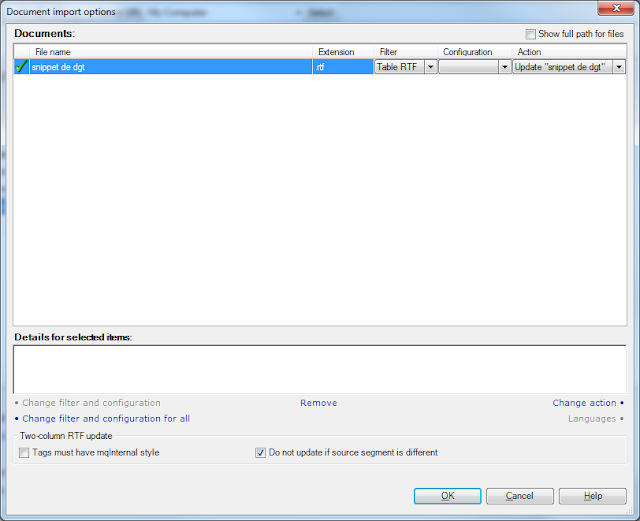 Recently I described a method for translating embedded objects in Microsoft Office documents. 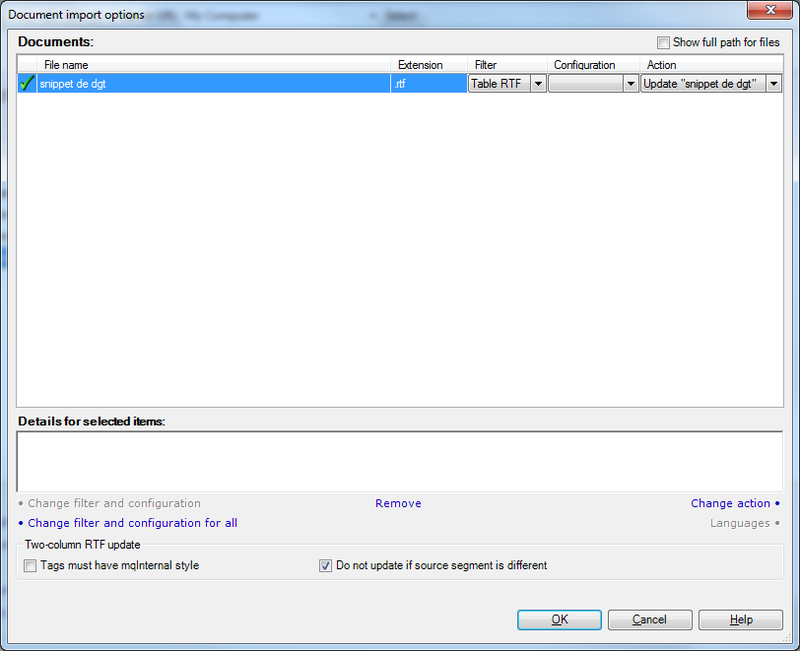 The final step in that method requires these objects to be refreshed by opening them manually or using a corresponding macro. The macro below is intended for inspecting all the embedded objects in a Microsoft Word document. 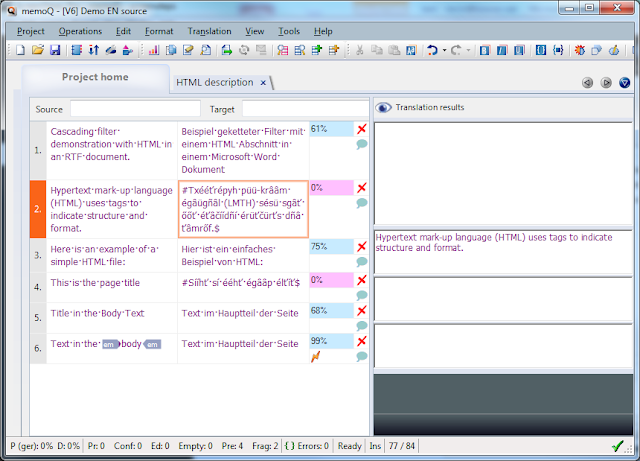 When run, it opens each of these objects if possible, regardless of type, and leaves the corresponding editing window open. 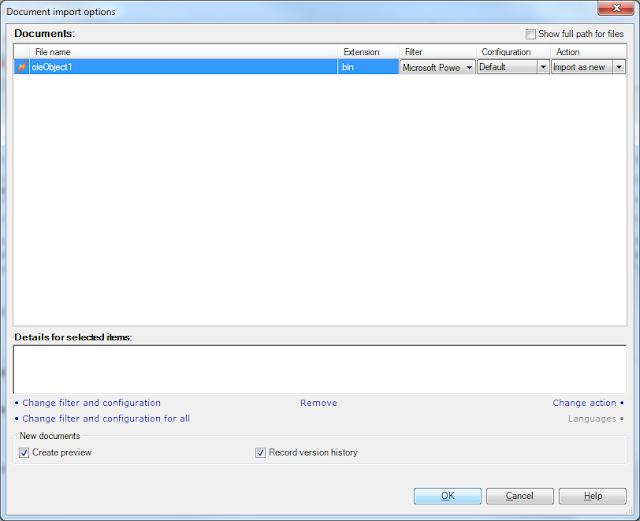 This allows last minute changes to be made conveniently before the objects are saved and refreshed in the document view. 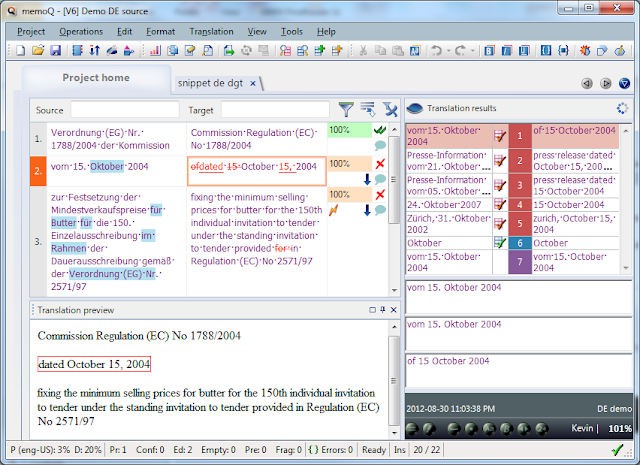 A similar approach can be used for objects embedded in Excel or PowerPoint, though the references are a little different. This macro could also be used to test quickly whether a large document has embedded objects to be dealt with. Sometimes it's hard to recognize these. It does not, however, open bitmaps inserted as pictures. Pretranslating is the process of automatically translating a text or portions of it by comparison with a translation memory, the application of machine translation or the use of a previous version as a reference document. This description covers the first two cases. Select Operations > Pre-Translate... from the menus. Select the appropriate pretranslation settings for your file(s). In some cases, using TM-driven segmentation can greatly improve matching. Here is an example of results with fuzzy matches from a translation memory and some segments (2 and 4) machine-translated (using the pseudotranslation engine as an example for contrast). 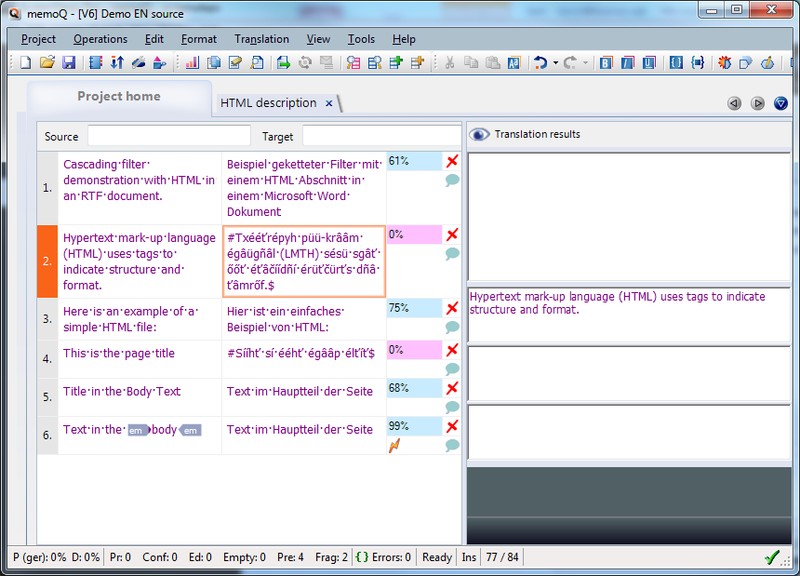 Without machine translation or fragment assembly those segments would remain empty. This method of pretranslation is often good to use as a follow-up step when translating with a reference document (i.e. a previousversion using the X-Translate function).